Last Friday, the US Fish and Wildlife Service (USFWS) placed seven species of yellow-faced bees on the endangered species list. The dangers of bee extinction has been known for some time, but this marks the first time bees are going to be legally protected in the US. The seven types of bees, which are native to Hawaii, have suffered due to factors such as habitat loss, wildfires, and non-native plants or animals encroaching on their ecosystems. In addition to the seven species of bees, 39 species of native plants were also declared on the brink of extinction on Friday. If these pollinators go the way of the dinosaurs, it’s likely that many indigenous plants and animals could follow. If the idea of a widespread collapse of nature doesn't stir your cold, consumerist heart, think about this: the loss of bees would have direct consequences on agriculture and economy, both in Hawaii and on a global scale. According to a U.N.-sponsored report, “about 40% of invertebrate pollinator species (such as bees and butterflies) are facing extinction,” and about 75% of food crops are partly dependent on pollination. The ruling goes into effect at the end of the month, and while some are worried that the strategy doesn’t offer adequate protection — since the USFWS hasn’t designated ‘critical habitat’ areas — the ruling is a great start. The designation means that authorities can implement recovery programs, access funding, and limit their harm from outside sources. In addition to these seven species, the USFWS recently recommended adding the rusty patched bumble bee to the endangered species list. 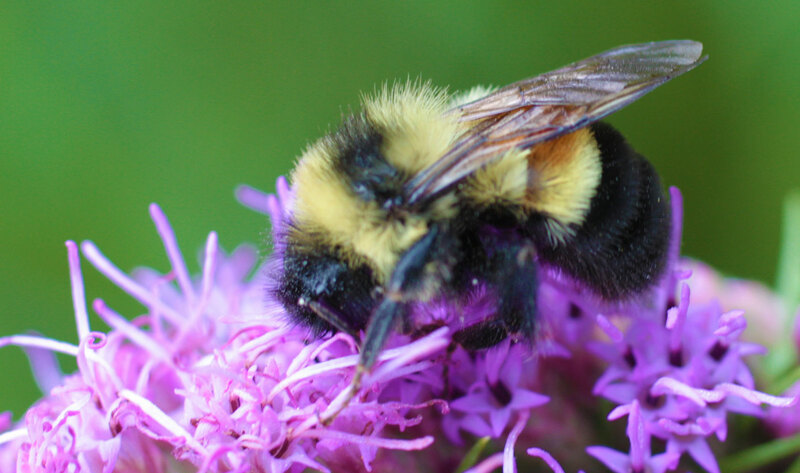 The population of the rusty patched bumblebee, native to the Midwest and Canada, has declined by 95% since the 1990s. To find out what you can do to help save the world's pollinators, please visit The Xerces Society — a nonprofit which works to protect invertebrates. "Protection for the yellow-faced bees comes after 10 years of effort. " This is clearly a violation of the first amendment … an attempt to repress this important political movement by silencing media coverage. Upcycle your old plastic bottles and turn them into Pokemon gyms!